On 10 January 1902, the world’s first state-registered nurses had their names entered in the register. Topping the list was Ellen Dougherty of Palmerston North. The training of nurses in New Zealand was initially rather ad hoc. During the 1880s, some hospitals began to offer training and accommodation onsite to attract more ‘respectable’ women into nursing. As more women entered the profession, there was increased demand for improved conditions for both nurses and their patients. 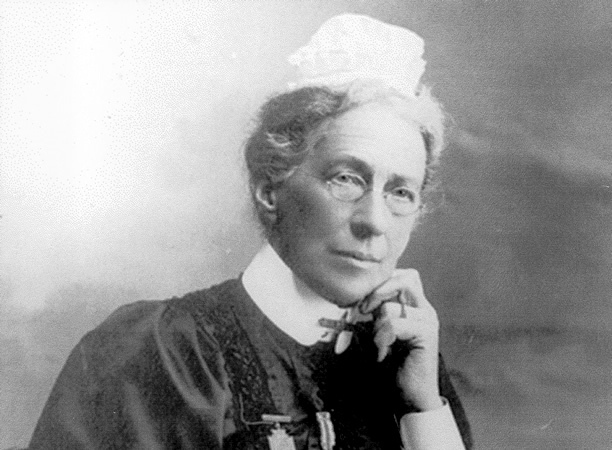 A major advocate for professional nursing in New Zealand was Grace Neill, Assistant Inspector in the Department of Asylums and Hospitals from 1895 until 1906. In 1899, Neill spoke at the congress of the International Council of Women in London. She called for a national system of registering trained nurses – those who had passed a final exam set by an independent board after undergoing training. After two years of campaigning, the Nurses Registration Act 1901 was enacted. Neill drafted the necessary regulations, defined the curriculum and appointed examiners. On 10 January 1902 the first names were entered into the register, with that of Ellen Dougherty of Palmerston North at the top of the list. For Dougherty’s case, registration was recognition of years of work. She had nursed from at least 1885, when she was employed at Wellington Hospital. After completing her certificate of nursing in 1887, she headed the accident ward and then the surgery ward before becoming acting matron by 1893. She was passed over for the permanent position, but Wellington’s loss was Palmerston North’s gain. In 1897, she became the matron of the new hospital in Palmerston North, a particularly challenging role as the hospital was not yet fully set up and received many patients with gruesome injuries suffered in forestry and railway construction activities. Ellen Dougherty retired in 1908, aged 64. We have 17 biographies, 5 articles, related to The world's first state-registered nurse.